I can't wait to see the complete list! Between this list and all of the expert videos, Kids in the House has become such a great resource for me and my family. So excited for the full list! Some of my faves are in the list! Can't wait to check out the others! Thank you so much for naming The Mogul Mom to your amazing Top 100 list. We're truly honored.To celebrate we'd like to offer 25% off any of our guides to your readers. Just use code KIH25. Thank you again ~ love your site- off to explore more! What a great list - it's so nice to see some of the ones I've been reading for ages recognized! This is a great list. I am familiar with some of the blogs and read them weekly. Thanks for sharing this resource. It is nice to see some of my favorite blogs here, and I'm excited to check out some new ones, too! 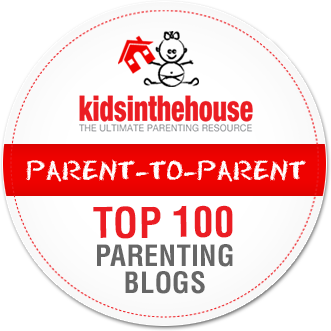 This is a great resource, not matter which stage of parenting you are in!